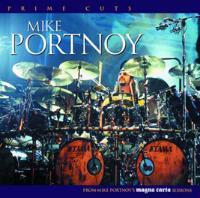 Mike Portnoy now has his own entry in the Magna Carta Prime Cuts collection. This disc, as the rest of the series, features selected tracks from albums that the artist has contributed to, presented here as sort of a slice of some of the best of the work from him. In my opinion Portnoy is one of, if not THE, best drummers in music these days, and this collection would be an excellent introduction to some of his non Dream Theater work. The inclusion of the edit of "Three Minute Warning" from Liquid Tension Experiment would most likely make this one a must have for completists. Note that since I have reviewed most of the original CD's in their entirety, for sake of consistency the track by track reviews presented here are adapted from those reviews. Screaming out of the gate, this comes across metallic at first, but then as the other instruments join the frantic jam changes to something more akin to King Crimson or even Frank Zappa. This one stays pretty true to its origins until a staccato segment that feels almost like a symphonic metal take on fusion serves as a short respite. A full on metal jam comes in later, complete with chunky guitar solo. This segment evolves into something that rather resembles Dream Theater. It drops in speed to end in noisy fashion. Nice piano work opens this number, which does have a definite Dream Theater mode in the basic song structure, while still containing an Al Dimeola type leaning in many ways. At about the three minute mark, it takes a definite turn into some more heavily jazz influenced directions, with some great layering and some very interesting piano work. Of course, Levin`s bass work is, as always, very entertaining. This song is definitely an exceptionally strong one. It also contains some quite remarkable classic sounding organ work. This is a very interesting track where everyone shines. The conclusion is quite pretty and intensely satisfying. Geoff Downes joins Trent Gardner, Wayne Gardner and Mike Portnoy on this one. Starting in mystical electronic tones, the cut jumps to a modern rock texture when the rhythm section enters. This intro leads to a more balladic verse. Some of the backing vocals to this number sound a bit like Chris Squire. Although much of this track is quite faithful to the ELP version, it is a very nice modernization. The high-energy prog jam (which is an instrumental break) is brief, but powerful, and the piano solo is sheer magic. Also featuring another exceptionally strong instrumental break near the end of the track, this is an especially effective piece. This piece begins with some good drum and stick work. A short and quirky number featuring some unusual whistling, "Chris and Kevin`s Excellent Adventure" is very reminiscent of King Crimson`s Discipline period at times. The opener to the tribute CD, this is brought in by Sebastian Bach, Jake E. Lee, Mike Portnoy, Billy Sheehan and Brendt Allman and is a fairly faithful rendition, but a bit more polished then the original. Only Bach's vocals seem not to work quite as well as one would hope. Jake E. Lee creates a solo that at once emulates the original and creates a fresh texture and even gets a bit Hendrixish. The instrumental section to this one takes on a life of its own. The same group of musicians is joined here by James LaBrie in the place of Bach. Opting to only do the last part of the tune, they put in quite an interesting rendition. They play it fairly faithful, but find opportunities for creativity. Once again, the vocals seem a bit lacking, but are definitely an improvement over those on the previous track. This track comes from the Vapourspace album which featured remixed renditions of songs by Magna Carta artists. In this case, the original is from Liquid Tension Experiment. This remake of the song showcases Portnoy quite a bit, his rhythmic workings being the glue that holds this slower take in place. This also differs from the original because it only focuses on one segment of that piece, and has some interesting reworkings in terms of the arrangement and production values. While much of the mystery of the original is missing from this take, it still holds a lot of charm. Cut down from a 28 minute track to just under ten, this one still holds up. This shortened version comes in funky with a screaming guitar solo segment and Portnoy laying down the beat with some occasional tasty fills. It runs in this style for quite some time. John Petrucci really screams out on this. Then it drops to a mellower section with the drums running all over the place. A metallic portion then some fusion guitar takes it in a new heavier direction and Jordan Rudess' keys fly all around. Petrucci is off at full speed again, scorching the fret board. This gets incredibly frantic here, then shows signs of wondering into space. Then it drops back just a bit, but Portnoy's still wailing on the sticks holding the energy there. The rest of the group eventually come back up to meet him and it turns into a Crimsonesque jam before shifting to a more melodic fusionish vein that still retains some of the chaos. Then a harder-edged take on something akin to the Police's "Message In A Bottle" joins in. It fades down after a while of this to end.